It’s the 3rd week of April 2015 and summer is right around the corner, although the temperatures in some spots may prove otherwise. We have another lineup of the hottest free music to stream and download. Whenever the degrees start to rise you’ll want to bring these along with you to enjoy the summer rays, have a good time or just kick back and relax. One of the hottest DJs out there putting out mixtapes for the streets is DJ Jerzeyboy. This guy really knows how to give you all of the latest music and his products are on fire. Volume 5 of the “Springtime Come Up” series is no exception to this. There are many hot new freestyles on here to keep you entertained. Maybe two of the better freestyle kings, Fabolous and Lloyd Banks, will go head to head? This product is jammed packed with free music from Styles P, Tony Yayo, Rich The Kid, Jeremih, Rick Ross, Drakeo The Ruler, Chinx Drugz, Snoop Dogg, Kanye West, and much more. Make sure you don’t miss the new track by Eminem and Yelawolf titled “Best Friend”. That song is definitely hot! 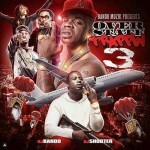 Next in the series of mixtapes to be reviewed is by DJ Bando and DJ Shooter. These two are back to bring you part 3 in the “Overstate Trappin” collection. This is more of southern themed release with only street music on here. You can check out tracks by Bambino Gold, YG Hootie, Zed Zilla, Freddie Gibbs, Gunplay, Young Buck, Billiard, Young Star, Quavo, and many more on this 25-track dirty south drop. If you haven’t already heard, Lil Wayne and Young Thug, who were once good friends, are now feuding. One of the reasons is because Young Thug wanted to name his debut album “Tha Carter 6”. He said it was a tribute to Lil Wayne, but the Young Money boss took offense to it. Over the weekend, Young Thug released the official mixtape titled “Barter 6” which you can stream and download free here. 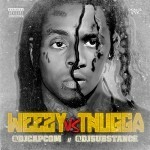 Since the two have beef now, DJ Capcom and DJ Subtance released a project titled “Weezy VS Thugga”. Based on this release, maybe you can decide who you think is better? 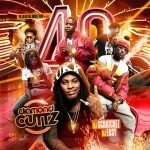 Others featured on this include Migos, T.I., Drake, Rich Homie Quan, Peewee Longway, Offset, 2 Chainz, Flow, and Rich Gang. Many people are already aware of Lil Wayne’s beef with Birdman as seen in this freestyle video. Canadian native DJ Scratchez and Germany native DJ Easy team up to showcase the 40th edition of the “Diamond Cuttz” series. These mixtapes are always packed with the newest free music to hit the streets, as this one contains 50-tracks! Artists featured on this release such as Scotty ATL, Money Mafia, Mavado, Tyga, Wiz Khalifa, Keak da Sneak, Red Cafe, French Montana, Rico Love, Tyler The Creator, Sage The Gemini, and so much more. Make sure you don’t miss this drop. 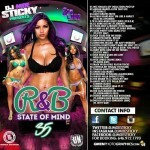 One of the better R&B DJs out is DJ Moe Sticky. The artwork on his releases is also very nice and works out great for our music players. Number 35 in the “RNB State Of Mind” franchise plays you music by musicians such as Adrian Marcel, Althea Heart, Brandyn Dayne, T-Pain, LeToya Luckett, Christina Milan, Mack Wilds, Tinashe, Ty Dolla $ign, and more. DJ Triple Exe, who hails from the United Kingdom, is back with the 44th edition in the “Street Kings” series. Other collections to look out for by Triple Exe are his “The Passion Of R&B” franchise and “Pure Winery”, which is a collection of Reggae music. On this release you will find new hip hop music by Jay Electronia, Dipset, A$AP Rocky, Fetty Wap, 2 Chainz, Future, Lil Durk, Rae Sremmurd, Rowdy Rebel, Bobby Schmurda, and other popular favorites. Recently, Brooklyn native Fabolous has released some pretty nice freestyles alongside DJ Clue, whom he first did mixtapes with. 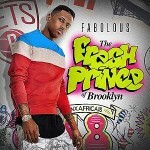 The product titled “The Fresh Prince of Brooklyn” contains his latest freestyles, as well as some vintage freestyles. The first 3-tracks on this release are the freestyles he just released. The remaining tracks are all classics. Beats that Fabolous raps over by artists that did the original track include Jay-Z, Biggie, 50 Cent, Snoop Dogg, Nas, G-Dep, Half-A-Mil, Mad Lion, and others. Check out this video of Fabolous on Rap City’s “Tha Basement” show from back in the day. This brings this blog posting to a close. 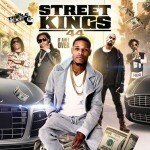 We hope you enjoy all the newest free music available on Buymixtapes.com. Check back in about a week or so for another review of the hottest funk out on the streets. Please be sure to tell your friends about us!